I have presented Clickety Clack as an action rhyme for older toddlers and preschool-age kiddos, calling the whole body into the game. 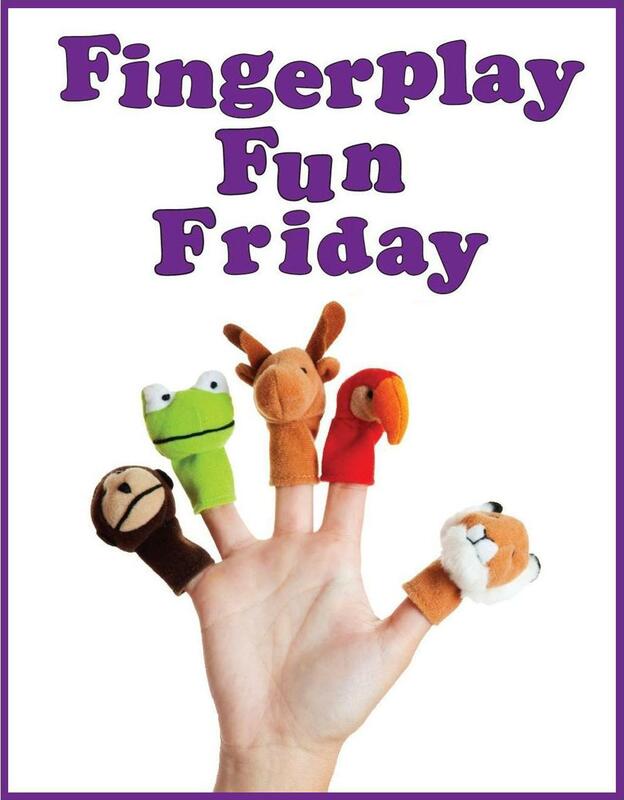 This fun interplay between words and body movements provides great gross motor skill practice. When children begin to learn how to write, they need to have good hand and eye coordination as well as upper-body muscle development. Clickety Clack is a wonderful example of how action rhymes can help prepare kids for later success in writing! Be patient, it may take a few tries before kids begin to master the movements. For caregivers with younger children, this rhyme can work just as well as a lullaby. Forget the big body movements and simply pat out the rhythm on your lap. The sounds in the words compliment the soothing and repetitive sounds of a train so perfectly! Slow down your pace, add an occasional "hush" and you're good-to-go! In her must-read book Reading Magic, Mem Fox says that "Songs and rhymes provide comforting rhythms in children's early lives ... They are the natural extension to the heartbeat of the mother and the rhythmic rocking of a child in loving arms or in a cradle." Yep. That about sums it up. For alternate versions of this rhyme and some interesting history, visit here and here. Happy Birthday Theodor Seuss Geisel! !